This guide will teach you about current eyebrow trends, shaping techniques, tips and tricks, and a simple guide to find out which eyebrow shape suits your face shape best. 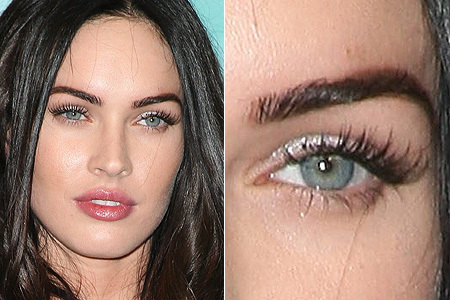 Until recently, the preferred brow shape among most young women used to be the highly sought after Megan Fox brow; this consisted of a relatively thin, arched brow that was perfectly shaped. Although a new brow trend has replaced this one, which consists of thicker, messier brows with a more straight shape. This trend has been slowly taking over the runways for quite a few seasons now, and seems to be expanding its borders to the red carpet. Stars such as Demi Moore, Mary-Kate and Ashley Olsen, and Jennifer Connelly have been spotted sporting such brow trends, and are seriously rocking it. Oval: Oval faces have a lot of leeway with the brow they want, and can pull off pretty much any shape they want! Moderate thickness and a slight arch is a good choice for someone with an oval face. Round: To balance out the roundness of the face, brows should ultimately aim to lengthen the face. This can be achieved by making a moderately high arch in order to draw the eye up and down on the face, creating the illusion of a longer face. Long: These types of faces look best when the brows interrupt the vertical length of the face. This happens when brows have minimal arch and are straight, in order to create directional peace. Square: More square-faced ladies have an option when it comes to suggested brows; you can either balance your strong jaw by creating an equally strong brow (relatively high, sharp arches) or by softening it (creating a curved brow). Using the strong brow will create a complimentary struggle between the sharpness and ultimately accentuate it, and using the curved brow will tone down your sharpness and smooth everything out. Heart: These types of faces look the most balanced when they are sporting a soft, curved brow (no sharp arches). This gives the illusion of a 'heart' on the face, the brows being the two curves and the chin being the point. Whether your brows are thick or sparse, just about everyone looks incredible when they give theirs a little attention. If you have dark hair, you should find a brow product that is one to two shades lighter than your natural hair color; if you have light hair, you should go one to two shades darker. Ultimately, powder products look the most natural for filling in, especially on sparse brows.One mistake that almost everyone makes (even professional make-up artists!) is that they pick brow products that are too warm. 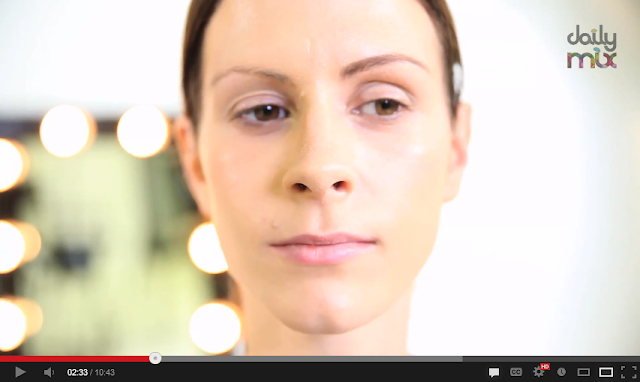 Below, you can see the unnatural and obvious effect that warm brow products can have. To avoid this effect, pick brown colors that have absolutely no warmth and are ashy. Unless you have naturally red hair, this trick will likely never fail. As you can see below, Make-up artist Tanya Burr on DailyMix uses an ashy brown to fill in this fans' sparse brows. After a little bit of work, her brows look completely natural with beautiful shape! To make your brows look as natural as possible, use a thin, flat eye make-up brush. Apply a little bit of powder, and create soft, light strokes in the shape you want. If you feel that your brows need a little toning down, plucking might be the thing for you, but be careful. If you just plan on cleaning up the edges, plucking can be okay; but when you want to start altering the shape of your brows, its best to consult a professional. It's all too common that women can get into a bad cycle of plucking, and before they know it they're brows have been over-plucked. Avoid this by working a little bit at a time, and avoid mirrors that are too magnified. Magnified mirrors can be deceptive when it comes to overall brow shape; I find it best to pluck from a normal-distance mirror to avoid making mistakes. I honestly hope that this guide has helped you! This guide is originally written by Divine No.7, but contains information from sources outside of this website; those sources will be linked below, if you want to check each of them out! Love these eyebrow tips! !...Im a big eyebrow girl...they totally frame the face! Great post! I think this is something many of us ladies have trouble with!